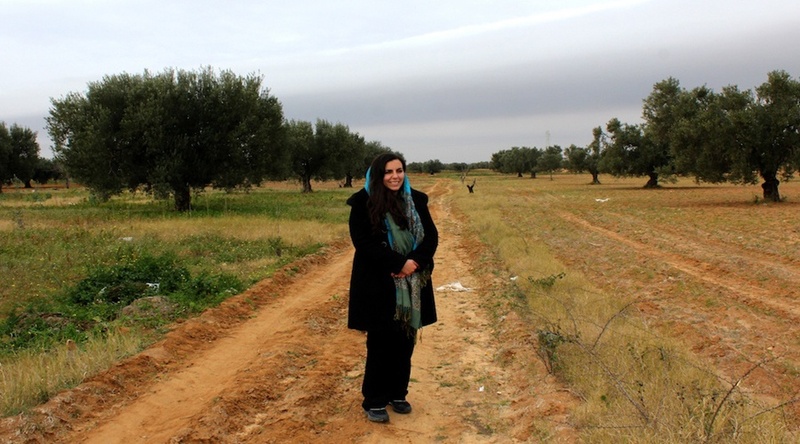 For almost a decade Sarah Majida Toumi has been thinking about solutions to fight desertification in her country and sustainable farming processes with the climate change. Today, she owns a research lab, a demo seed nursery, and she works with women in her hometown to change their farming practices. Her plan is to create a social business by growing Moringa and Acacia trees and to expand it in Algeria and Morocco. Half Tunisian, half French, Toumi, 30, grew up in France. She made her name in France by founding an incubator, called Dream, for students in 2008. 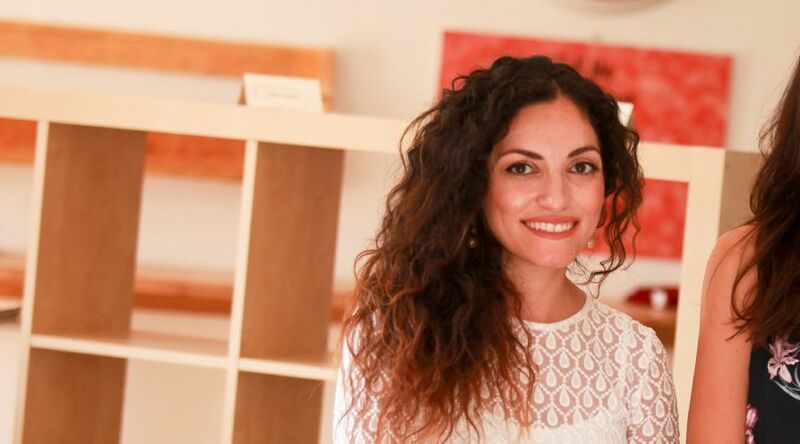 She then launched her first social business in 2009, Acacias for All, with the help of an Ashoka scholarship and technical help from Echoing Green, an American non-profit fund. She’d originally pitched an idea to the Ministry of Environment in Tunisia to plant Acacia trees in desert areas, creating a green belt to protect farms from sand and wind, but they’d turned her down. So she went straight to the people. Acacias for All taught women in particular how to fight desertification via tree planting and modern farming techniques. Toumi gathered 21 women to plant Moringas and Acacias, two trees which are known for fast growth and production. “I lived like them when I got married in 2012 to a man from Bir Salah. I lived in Bir Salah for a while as a rural woman. I knew their conditions of living, they could not earn money because the harvest of wheat and barley had dried out. So I proposed them to grow other plants,” she said. “It can take at least 20 years to rebuild a new ecosystem, the Moringa tree enables some results quickly while the rest of the ecosystem is growing,” she said. Changing mindsets was even more difficult. Toumi worked with women first because they were the only ones willing to change their farming habits. “It is a matter of survival here, if you don’t find a way to product and grow something you can sell, you can’t feed your children or keep your house,” she said. The new fields using Toumi's methods, which are supposed to naturally moisten the soil and mitigate the risks of desertification. You can already see a Moringa tree flourishing in the field of one of Toumi’s female neighbors. “Here you have a lot of unemployed people, so getting back to those practices that we gave up because of a lack of money for material and tools is a good way to try to earn money again. We had no money to reinvest ourselves in new practices,” the neighbour said. Agriculture represents more than 10 percent of Tunisia’s GDP and 23.9 percent of the female workforce is employed in the sector. However, official statistics are hard to find as rural women have always worked with their husband in the fields, according to an FAO study. In 2016, the Ministry of Agriculture reported that 80 percent of women worked in agriculture in some parts of Tunisia, and the sector needed reform. In 2012, Toumi took over her father’s own non-profit association, which promoted new ways of farming. She renamed it Dream in Tunisia, and its new incarnation should start this year as a maker of products from Moringa and Acacia trees, aloe vera plants and vegetables. The business is building a factory which will make everything from tea and medicinal products, to olive oil, jam, dried tomatoes and Acacia gum. “Our main goal is to create six local factories which will hire up to 40 people in charge of transforming the products for exportation. 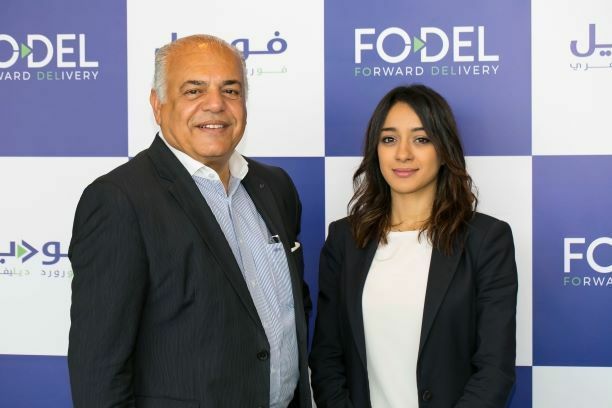 Basically we will go from a home-made production to a more industrial method, but by keeping the ethics of the farming in the process,” Toumi told Wamda. Sarah Magida Toumi (left) accompanied by a mother and her daughter who believed in her project and who planted the new trees in their olive orchard. Toumi partnered with a small French company Equitagreen in order to export to Europe. “After a ten year experience with helping women in rural areas with the growing of the Moringa in Africa, we noticed that we can create sustainable ways to do farming and adapt it to the climate change, I wanted to work with Sarah on this because we have the same standards and ethics” said Equitagreen founder Stéphanie Allard. None of this has been easy, however. When in 2012, Toumi received a fund of 160,000 euros (about US$170,000) from Orange to develop her village (which was independent of her other activities), it created a lot of fuss. “I was accused of embezzlement by some of the villagers, people said I had received a million dollars instead of the real amount, even if they saw the new school, the new things we built and did, nobody accepted that I had received this money,” she said. One of the vegetable gardens of the women of Bir Salah. Toumi provides the seeds and the materials to plant. She was burnt out and returned to France, expecting never to go back to Tunisia. But in 2014 she was back to defend her farming project Acacias for All. One of Toumi’s best assets is her marketable image, built over years of pushing her ‘trees in Tunisia’ agenda. Using this she promote through her campaign One million trees for Tunisia last year, which encouraged people to plant a tree in a kind of ‘Ice Bucket-like’ challenge. She also nominated ambassadors of Acacias across the country that would promote her new farming priorities: permaculture and agroforestry. Now the main issue is to become the social businesswoman she wants to be. She received two more prizes in 2016, one from France and from Rolex so after using the money to develop the factory, she will brace for the impact of her actions. Feature image via Lilia Bliase.